Previously within our Archives in Popular Culture posts, we have explored how archives and/or records have been used to advance the plot in several different movies. 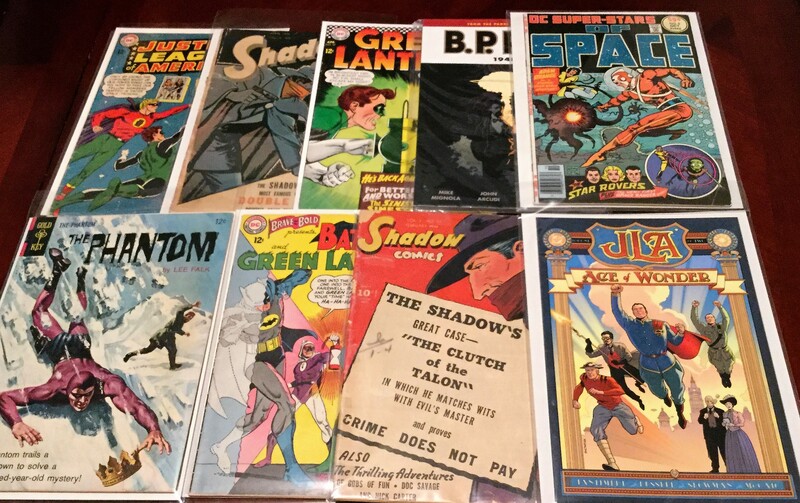 For this popular culture post, I would like to change gears and move on to explore how selected comic book writers and artists have chosen to include and depict records in some of their stories and artwork. I have a long-standing interest in pulp and comic book hero stories, and have therefore been pleasantly surprised to find, given my fascination with “glorious government records,” that records/archives do often find their way into such heroic fables, in sometimes trivial as well as significant ways. I have limited my exploration of this topic to depictions of records found in various comic books in my modest personal collection, so what follows is by no means a comprehensive exploration of this topic. I suspect that readers with similar interests will know of additional examples that could be included in future reviews. If so, please feel free to get in touch! In the comic book stories discussed below (originally published between the early 1940s and 2010) a variety of different records can be found, including vaguely defined “papers,” financial ledgers, manuscripts, case files, field notes, photographs, and even a cosmic chronicle. Interestingly, common threads link some of the stories vis-à-vis the use/depiction of records, with different stories touching on questions of authenticity & reliability of records, records as story-telling devices, and records as a gateway to hidden knowledge. Some comic book spoilers follow. Please keep in mind that these stories are products of their times and reflect some social stereotypes that we now reject. I have included scans of certain panels to illustrate my points; however, the material is still under copyright with their respective publishers, and is included here under Fair Dealing provisions. Any other use will require the permission of the respective copyright holders. This Shadow story opens in the City of Southbury with two men, Richard Whilton and James Belver (a businessman and local reformer respectively) discussing a sealed box that was sent to Whiton by the former mayor of Southbury. The contents of the box, bearing the crest of the City, will allegedly reveal the identity of a crime lord operating in the city. Whilton does not immediately open the box because he wants the Shadow’s assistance dealing with the allegations found therein. However, before this meeting can take place the box is stolen by criminal elements within the city. Whilton is later killed by this criminal element, and subsequently the sealed box mysteriously finds its way to Whilton’s lawyer, Rufus Vosgle. When the box is eventually opened it contains papers implicating Vosgle as the criminal mastermind. However, the Shadow is suspicious of this obvious solution. He discerns that the true criminal mastermind destroyed the real records in the box, and replaced them with forgeries designed to frame Vosgle, and then ensured that the box would be found. With his use of attempted forged records discovered, the real culprit admits his guilt and is arrested. 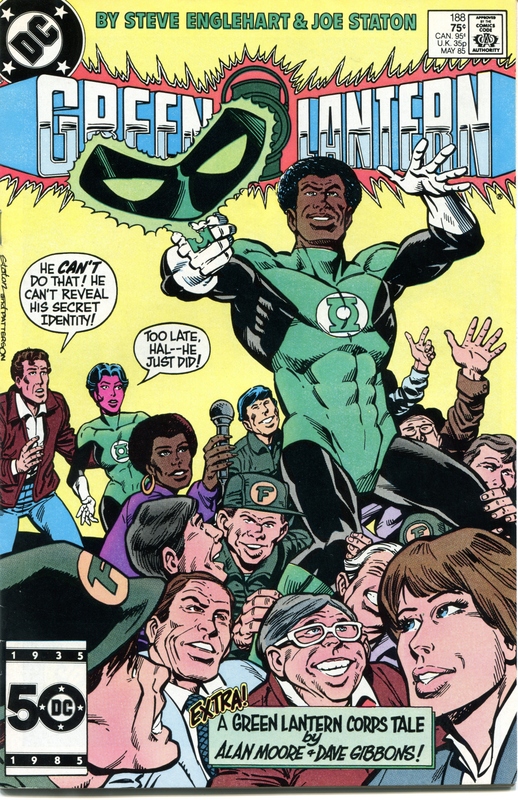 In this story the “Golden Age” Green Lantern, Alan Scott, investigates a group of criminals and crooked politicians who are profiting off a pneumonia outbreak by stealing money meant to buy medicine. When Filch’s son is struck down with the sickness he agrees to confess to his role if Scott helps save his son’s life. Scott agrees and manages to locate a great deal of the necessary medicine, and the criminal subsequently points him in the direction of “…the real records of our appropriations” which are stored in a safe of the criminal’s leader, a local Commissioner named Merril. Scott confronts Merril and has him open the safe. While so doing Merril shoves Scott in and locks the safe, hoping to suffocate him in the airtight space. Unbeknownst to Merril, Scott’s power ring can easily cut through the metal, and so Scott is able to escape the trap. He then calls in the authorities and informs them that he has found the true records (likely financial or requisition ledgers) that prove that Meril and Filch are guilty. The recovery of the genuine records plays a key role in seeing the criminals prosecuted and subsequently sent to jail. In this Phantom adventure (the background of this character is outlined here) a member of the Wambesi tribe named Tuluck attempts to eliminate the Phantom as a potential opponent while also gaining leadership of the tribe. To do so he claims that The Phantom is a long-standing enemy as opposed to a friend and ally. As proof he reads from a parchment that purportedly states that “many years ago” the Phantom betrayed a man named Kiyanga, one of the Wambesi’s most respected leaders. Tuluck then attempts to use this claim to enrage the Wambesi to the point that they will kill The Phantom for him. The Phantom worries that the claim might be true (he can’t be 100% sure given that the Phantom implicated is a long dead ancestor), and he thus seeks counsel in the manuscripts maintained in his secret lair. The well-organized records reveal that The Phantom and Kiyanga were in fact good friends, and that they worked together to relocate the Wambesi to a secret mountain chamber when they were threatened by their enemies. And a map kept with the chronicle reveals the location to the secret chamber. Armed with the map The Phantom locates the chamber; in so doing he manages to prove to the Wambesi that the claims made in Tuluck’s parchment are false. Here, carefully preserved archival records allow the Phantom to ensure that a liar and charlatan is not able to use trickery and deceit as a means to power. The Green Lantern Corps – a powerful police force that has patrolled the known universe for over three billion years – maintains a secret history of the corps for its members’ use. The manuscript is known as the Book of Oa (named after the planet Oa, the headquarters of the Corps) and is cared for by the Corps’ archivist, Tomar-Re. Different characters are often depicted consulting the manuscript for insight into past events, significant personalities, and/or obscure artifacts. 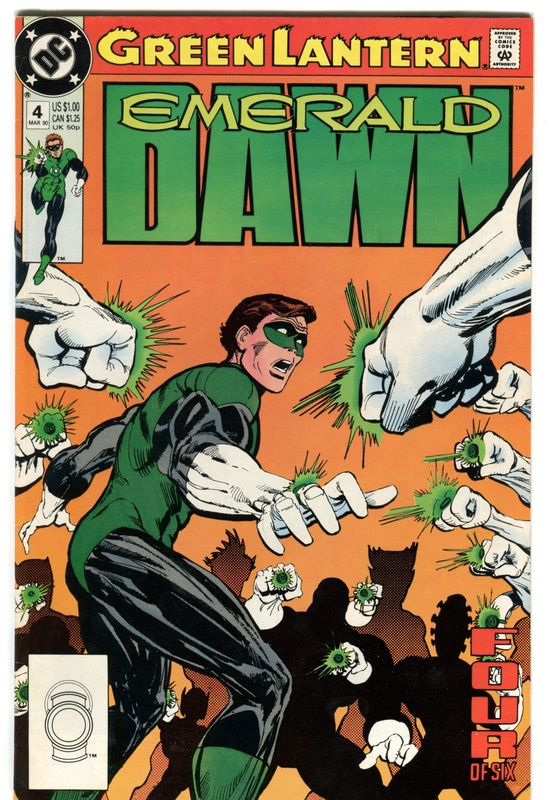 In the examples below, different Green Lanterns are shown reading the manuscript for insight into the history of the Corps and its activities. The Book of Oa essentially serves as a convenient story-telling tool that writers will often use to segue into a variety of different tales of the ancient and storied Corps. Hellboy, a bright red demon raised by humans, was pulled into our universe via magical means by Grigori Rasputin and the Nazis towards the end of the Second World War. He was adopted by Professor Trevor “Broom” Bruttenholm, an Allied professor, and was raised on a US Army base, eventually joining an organization founded by the professor: The Bureau for Paranormal Research and Defence (BPRD). This comic book outlines Hellboy’s origin story, and in support of this narrative, the creators include a full-page reproduction of a page from a 1948 BPRD case file. This archival record documents and discusses the activities surrounding Hellboy’s arrival on earth in 1944 and includes photographs of some of the major participants of what was referred to as “Project Ragna Rok.” The case file page thus serves as a brief backgrounder for readers interested in additional details about Hellboy’s origin story and its place within the larger world that Mignola is building. Primarily set in the late 1999s and early 2000s, “Planetary” revolves around Elijah Snow and his team of self described “Archaeologists of the Impossible” who work for an organization known as The Planetary Foundation. Their mission is to uncover the “secret history” of the 20th century, i.e. significant events, places, technology, and personalities that for whatever reason have not heretofore been recorded by mainstream historians. Snow, a super-powered and slow-aging human born in 1900, is naturally curious and inquisitive. After honing his skills under the tutelage of Sherlock Holmes, he steps out on his “archaeological” explorations. In 1925 he begins to publish an annual “Planetary Guide” outlining his various discoveries, the highlights of which include a failed alien invasion of Earth in 1951. In this issue, Snow takes his team, Jakita Wagner and “The Drummer,” into one of his personal research vaults in Brazil, wherein is held one of his extensive collections of archaeological field notes, photographs, Planetary Guides, and other records. Eagle-eyed readers may note that at least two of the dates on these boxes are possibly significant given Snow’s interests: US President Kennedy was assassinated in November 1963 (box of photographs) and the Apollo 11 Moon Landing took place in July 1969 (uncensored transcripts). Jaikta possesses super strength and speed, abilities which she has always believed to be a genetic fluke. However, Snow knows that her abilities are no accident, and picks this moment in his personal Archive to present Jakita with a record detailing the background of her real father, Lord Blackstock. Blackstock, like Snow, was also born in 1900 and had special abilities, thus explaining Jakita’s powers. And as it turns out, Snow himself asked the Wagners to raise Jakita as their own, to ensure that she had a healthy upbringing. While in the vault Snow also pulls out a photograph of a top-secret 1961 mission to the moon undertaken by “The Four,” the main antagonists in Planetary. With this issue the reader learns the true scale of Snow’s project, and that his collection of archival records and published guides holds an absolute treasure trove of information about the “secret” history of the 20th century. It is fair to say that this Batman story is a bit of an outlier when compared to the others. At the start of this adventure Bruce Wayne, better known as Batman, is hurled back in time (and has his memory temporary wiped) by the super-villain Darkseid. The six-part narrative arc follows Wayne’s journey forward through different time periods, as he attempts to come to terms not only with what is happening to him but also with his dual identity of Bruce Wayne / Batman. While talking to the archivists (who he suspects are a type of “bush robot”) Wayne learns that their mission is in danger due to the presence of a Darkseid ally that has been following him through time. Wayne hatches a plan to remove and defeat the villain because he believes in the importance of the archivist’s mission, commenting “This Archive…it’s the entire history of the universe down to every microscopic detail, the most precious thing ever.” (Any real archivist will tell you that any such comprehensive “Archive” is actually impossible, as we simply cannot afford to keep everything, but that is besides the point here). Wayne’s plan (involving time travel, memory loss, and the Justice League of America) is ultimately successful, and with the Archive at the end of time safe, Wayne once again takes up the mantle of The Batman. It is a testament to Batman’s truly remarkable intellect and skill set that he plays such a key role in fulfilling the archivist’s staggering mandate – ensuring that the recorded history of the entire universe is preserved. It is strangely gratifying as an archivist to observe the different ways in which modern purveyors of myth have chosen to incorporate records into their tales in, at times, significant ways! I like to think that it is a testament to the power of records as a literary tool that I was easily able to find several references to them among my modest collection of comic books. Those with larger collections will likely know of a great deal more examples that could be explored and analyzed. It has been very enjoyable exploring this confluence of two of my passions, and I hope that our readers have similarly enjoyed the endeavor. Authenticity refers to the trustworthiness of a record as a record, i.e. that the record is what it claims to be and has not been corrupted or tampered with. Reliability refers to the trustworthiness of a record as a statement of facts, i.e. that the record is capable of standing for the facts to which it attests. To be reliable a record has to be complete (have all necessary signatures and dates) and there needs to be some control over the procedure of creation. Great piece! I’m not a comic book fan myself, but I do love archival references in print and film.